Are you visiting Beijing soon? More than THE Great Wall, I have quite a few recommendations when you visit the good old 'jing. The lesser known places, or the off-the-beaten-paths and activities, so to speak. This is much what I can contribute to the city that adopted me for eight wonderful years! If you're visiting, the city has introduced public bicycles for rent. But you need to register first at any of these places with your passport: Dongzhimen subway station (exit A of of Line 2), Temple of Heaven subway station of (exit A of Line 5, next to the temple's east gate) and Chaoyangmen station (exit A of Line 2). For more detailed information, click their website. Once you have a bike, you can try these best biking routes around the city. 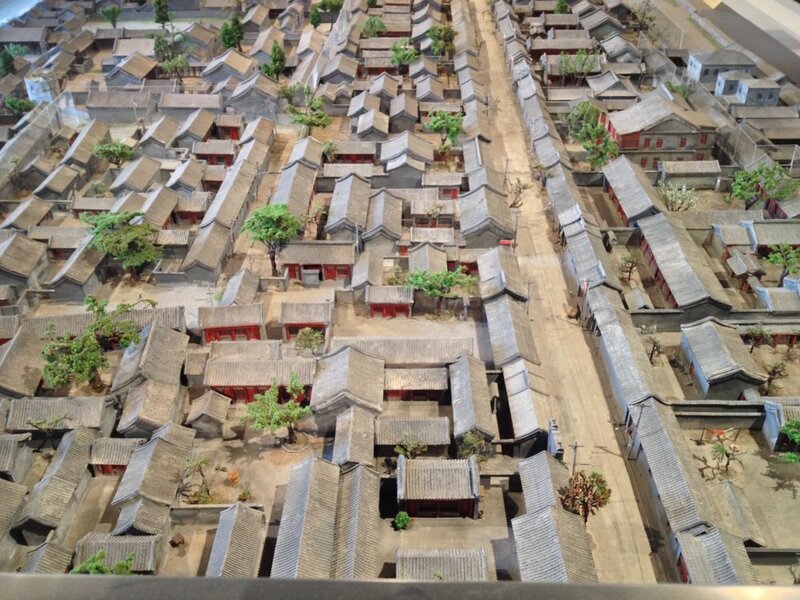 Hutongs are traditional courtyard residences arranged according to social classes since Zhou Dynasty (1027-256 BC) and are mostly prominent in Beijing. Some of them were turned into commercial courtyards such as, hostels, restaurants, bars, and stores. Due to Beijing's modernity, these places are becoming extinct. Sadly, the Chinese people failed to realize that this is the authenticity and uniqueness they can offer to the world. My favorite hutong spots are: Baochao and Beiluoguxiang. Nearest subway stops: Guloudajie (Line 2) to the north and Nanluoguxiang (Line 6) to the south. You can find the infamous, Mr. Shi's Dumplings (74 Baochao Hutong) for your jaozi, Mai (40 Beiluoguxiang) for your cocktail drinks, and Modernista (44 Baochao Hutong) for film screenings & party dancing. If you're into comedy and art, Fangjia Hutong is the best place to see more of that. From Exit D of Yonghegong Lama Temple Station (Lines 2 and 5), it’s a simple ten-minute walk straight south to the east end of Fangjia Hutong. This hutong entrance is less recognisable than that of Guozijian (with it’s colourful gate), so be on the lookout for the sign. The Beijing Planning Exhibition Hall is the best place to see the whole picture of the city! It's my favorite, simply because you can immerse yourself in the architectural creativity of Beijing and learn so much after. They have a lot of interactive presentations as well. Information: No. 20, Qianmen Street, Chongwen District, Qianmen Subway Station Exit A, 9:00- 5:00 PM (Tuesday-Sunday), 30RMB entrance fee. 4. Highest and most beautiful view. Did you know that with just 2RMB, you can have a 365 degrees and a high view of the Beijing? Well, you just have to head to Jinshan Park! It is also the best place to watch the sunrise and the sunset. On a non-smoggy day, of course. Additional trivia: This is where Emperor Chongzhen hanged himself. Direction: Take Subway Line 5 to Dongsi Station. Get out from Exit C and then find bus 101 to Gu Gong (Forbidden City) Station. It is opposite to the north gate of the Forbbiden City. So would you want to see the people in your pictures or the Great Wall?!? That's why you should go farther! And I suggest that you should take a van-for-rent for a long and comfortable journey. Call this number: 13641057896. He would usually charge 300-500 RMB for the round trip ride. My favorite Great Wall spots: Mutianyu Wall, Jinshanling Wall, and Huanghuacheng Wall. 6. From the zoo to the palace. The Beijing Zoo is not only the home for the cute, giant Pandas of China, but it is also connecting to the Summer Palace. For 40 RMB, you're paying for the entrance fee in the zoo, the Panda's house, and the ferry boat ride to the Summer Palace. As seen here on the picture, the lake is the connecting canal to the palace. Once you arrived at the South gate of Summer Palace, you need to pay the entrance fee of 20RMB. I highly recommend exploring the Front Hill area. You will have a nice and tranquil view of Beijing from that high spot. Also, they have free Opera Theater performances in Deheyuan Grand Theater. So be ready for this cultural experience that dates back in the late 18th century. But they only perform every hour. Ask the schedule for it. Direction: Take Subway Line 4. Get off at Dong Wu Yuan Station, get out of the station from Exit A (northwest exit), and you'll find the south gate. Ultimately, my favorite hang out, chill out, and inspirational place in Beijing is The Bookworm! I can literally spend the whole day in this place without feeling bored at all. But that's just me! ;) So if you're a literary type, like me-- this is a good place to borrow and buy books, magazines, travel guidebooks, and Moleskin! They have monthly events such as; book launching, talks, comedy nights, and quiz nights. And of course, never to miss their Literary Festival every March. The Bookworm also serves breakfast all day! How lovely! Plus it's in Sanlitun, so you can go directly to your favorite bar after a quiet, nerdy day! You can head to The Local, which is my favorite Irish-pub in the area where you and your friends can play pool and Foosball. Direction: 4 Sanlitun Nan Lu, Chaoyang District. Tuanjiehu Subway Station: Exit at the Pacific Century Plaza exit, on Gongti Bei Lu. Beijing has a good number of public parks. And from springtime, you will see Chinese retirees dancing their feet away to the tune of English pop music, tango, cha-cha, and classic Chinese medleys! This is one of the best way to immerse and enjoy(!) yourself with the old people. So don't be shy to join in with their line-dancing. Trust me, they're very good dancers too! Houhai Park is probably one of the large groups in the city. But I've recently learned from the news that they're cracking down these public dances and exercises. So just keep an eye to any public park around you. They usually start from 5PM- 8 PM, everyday. I love Chinese food!!! It's one of the huge reason why I miss Beijing! And the variety of choices from other Asian and Western foods are also endless! Baoyuan Jiazi Wu (6 Maizidian Jie, Chaoyang District) for colorful dumplings and eggplant dish. Da Gui (69 Daxing Hutong, Jiaodaokou, Dongcheng District), a Guizhou restaurant. I highly recommend their suantuangyu (fish on the soup), yuan xiao (glutinous rice dumplings), and their Dagui style pork ribs! Beijing Roast Duck Restaurant (Gongti Beilu, just across the Workers Gymnasium) for a cheaper but good tasting Peking Duck! They also serve my favorite Fried Spicy Chicken and Spicy Fish Soup, and other famous Chinese dishes. Annie's Italian Restaurant (located in all districts) is probably not just my favorite go-to Italian restaurant but also Frenchie's favorite take-out! We literally eat Annie's pizza and pasta every weekend (and every night for him!). Muse (Sanlitun, Chaoyang Park, and Indigo Mall) is my favorite go-to Vietnamese restaurant. I love their fried chicken, tom yam soup, and Vietnamese rolls! And of course, pho noodle soup! Susu (Qianliang Hutong, West Alley No. 10) is another Vietnamese restaurant in Beijing. They are located in this hidden hutong alley and you need to reserve a table before you go because they are always full. We love their lunch menu set which is affordable as compared to their pricier dinner menus. Don't pass up to eat their papaya salad. Element Fresh (Sanlitun and Lido area) is my favorite take-out food. It's fresh and healthy! And they make the best Chicken Teppanyaki Salad and fresh Carrot-Ginger juice! Macau Taste (Sanlitun) is my favorite Cantonese restaurant. I love their interior set up, too. Their variety of dim sum are a delight to my stomach! The Tree (Sanlitun) is probably one of my earliest favorite restaurant in Beijing. They have the best wooden-baked pizzas in town. And their Pan-Fried Chicken with mushroom sauce is already a full meal in itself. As I passed my 20s, I feel like I no longer belonged in loud bars with pop music, skinny dancing Chinese girls, and expat teenagers. In short, I'm no longer the target demographic of these places! Haha! Thankfully, there are "quiet" bars that you can go to for a cocktail drink on a Friday and Saturday night in Beijing if you feel too old like me. Or if you simply don't want to shout when you talk to anyone while inside a bar. I especially love the atmosphere in Ennotera (Sanlitun) for the rooftop setting, Fu Bar (Workers Stadium) for the hidden surprise, Revolution (Sanlitun) for the small crowd, Ming Bar (Sanlitun) for the member-only entrance & best cocktails (they only have 7 chairs inside), and Mai (Beiluoguxiang) for the hutong vibe. Have you been to Beijing? What was your favorite?